The longer we work in clay, the more we realize we all started too late—there is that much to learn. No matter at what age we are introduced to ceramics, as long as we keep working with it, clay will be introducing itself to us, sometimes gloriously, exceeding our expectations; other times mocking us, as if to say, “Not that way, dummy!” Touch-based learning changes our world by becoming a world we make. This miraculous material that used to be mountains might be connived into shapes our imaginations create, becoming mountain-hard again as we wait the good wait, while our kilns cool. Two years ago, I was invited to judge the National K-12Ceramic Exhibition at the NCECA conference in Kansas City—a joyful task that enlivened ten days of intense long-looking. If working in clay for more than fifty years tests one’s appetite for beholding ceramic achievements by people of all ages and backgrounds, I aced this one. Here was work capable of launching their makers onto the covers of ceramics magazines in a decade or so, perhaps followed by teaching careers and eventually into NCECA geezerdom by 2050. That committed ceramic artists might have a future is evident every time we visit one of these exhibitions. “What was this person trying to do?” I asked myself as a juror, and, “How well was it accomplished?” No matter the maker’s age, these questions applied, and after looking at every image about fifty times—shuffling them to avoid memorizing their order—I found certain pieces insistently assertive. Some appeared in my dreams (a very good sign), while others nearly escaped detection for several viewings before surfacing with potential—a subtle sculptural gesture easy to miss, a lid’s surprising knob. Selecting 150 entries from nearly 1,350 was hard enough, but choosing 108 entries from 966 submissions in the grades 11-12 category was equal parts exasperation and reward—a neurotic’s nightmare. But only once at the end (and may I be forgiven), did I flip a coin. 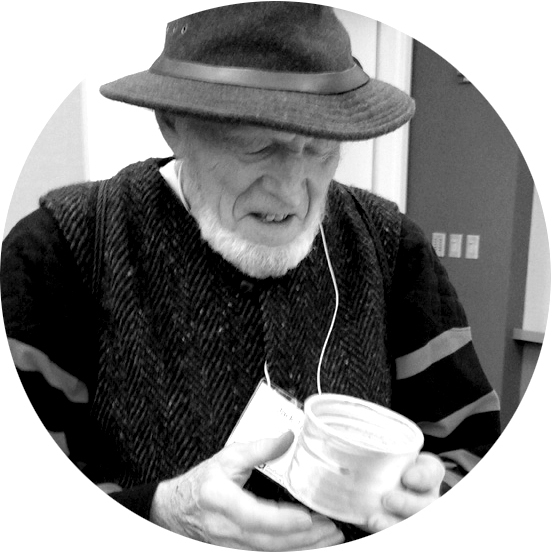 Jack Troy is a potter, writer, and educator. Troy taught at Juniata College for thirty-nine years and has led hundreds of workshops across the country and around the world. He has published two books, Salt Glazed Ceramics and a collection of poems, Calling the Planet Home, and has written many essays and articles for major publications in the field. He has been recognized by the National Council on Education for the Ceramic Arts, and the Pennsylvania Council on the Arts.